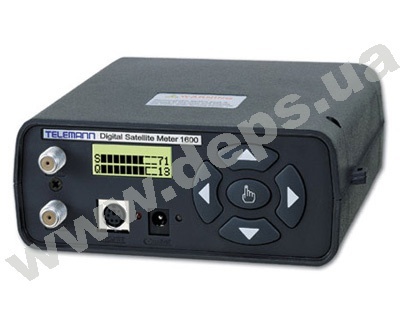 TELEMANN 1680S is a compact device with a full spectrum of functions to search for a satellite signal, analyze its quality and tune in to a satellite antenna signal (digital or analogue). 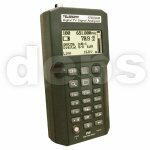 The device allows scanning the air according to the list of transponders loaded in its memory (up to 99 satellites) and then analyzing the parameters (power level, BER and CNR) of the selected satellite transponder, or two transponders simultaneously if comparison is necessary. 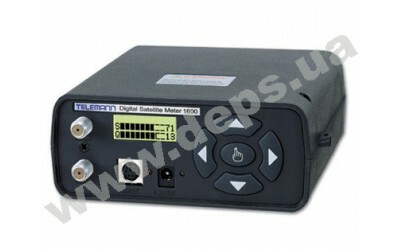 TELEMANN 1600 is a compact device facilitating fine tuning of the satellite antenna. A list of transponders for 10 satellites was loaded in its memory (up to 300 preprogrammed transponders overall). When tuning an antenna to the necessary satellite, you can select the corresponding transponder of the given satellite and turn the antenna until it is detected automatically with the device. The device is characterized of high performance, managing the analysis in a matter of seconds. 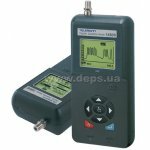 Further, the device allows analyzing the parameters (signal level, BER and CNR) of the selected satellite channel that helps to carry out fine tuning of the antenna. Sound signalling of tuning and a level graphic display mode facilitate the process of satellite search.